Hello polished world! It's Tuesday, which means it's time for another Twinsie Tuesday. Sadly, some Twinsies have left over the past few weeks, but we are welcoming back not only some old Twinsie's but new ones as well! If you remember, last week we welcomed backed Cordia. This week, we are welcoming Bridget from A Painted Nail, and Jessica from Blue Velvet Lacquer. 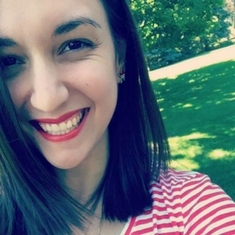 Now, I'm not 100% positive if Bridget and Jessica will be posting this week since it's all kind of new, but regardless, head on over to their blogs and check them out! This week our theme is Summer Loving! I was excited when I saw this prompt since the manicure options are endless. I decided to do something fun and bright, aka use all the neons! While I've been known to wear my neon polishes in the winter, they get the most use in the summer time. 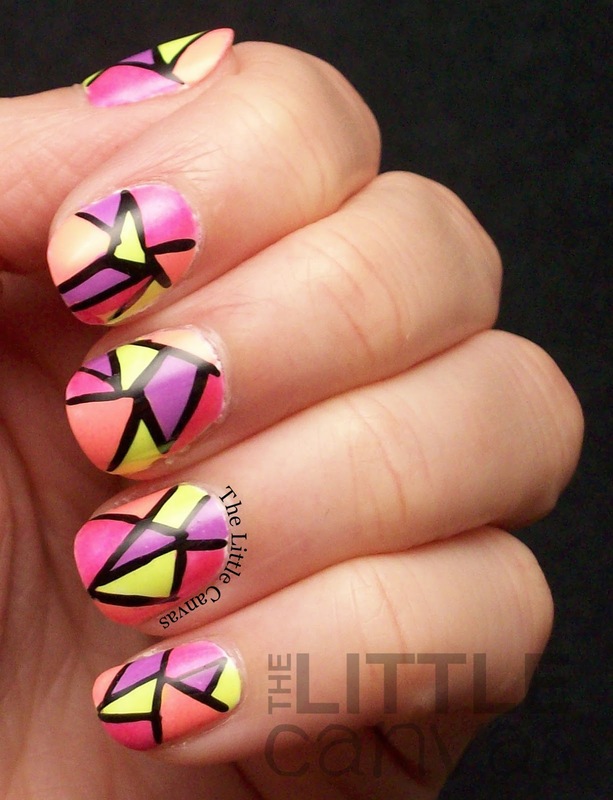 For today's neon manicure, I was inspired by this manicure by my fellow Beauty Buff Lindsay from Nail That Accent. I just loved the neon mosaic and had to copy it. Instead of doing the design as an accent, I decided to go crazy and mosaic all my nails. Orly - Oh Cabana Boy! Don't they look awesome?! I'm seriously in LOVE with this manicure. I have done mosaic designs in the past, but they did not come out as good as this one! Reason this one rock; I tried a new technique thanks to Lindsay's Instagram tutorial! Whenever I created this look, I would start off with a base coat of white polish. When my base was dried, I would take a black striper and create the mosaic outline. Then I would fill in the empty space, then go back over the black outline to clean up the edges. How Lindsay did it was pure genius and so much easier! 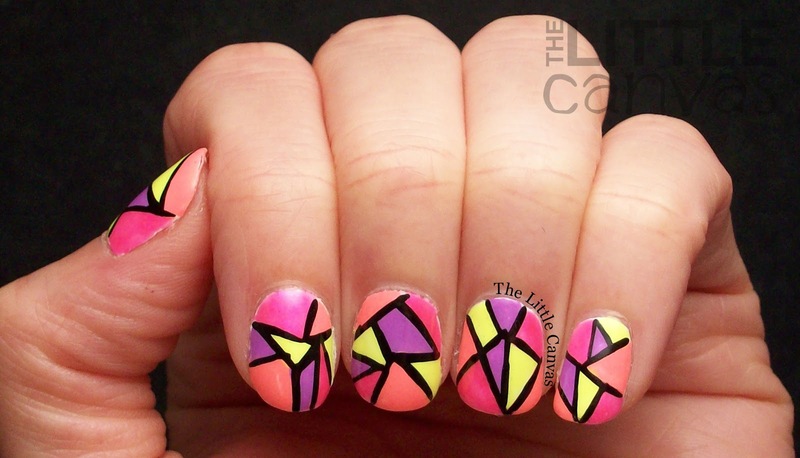 She started out with a base coat, then created the color blocks on the white nail without the outline. 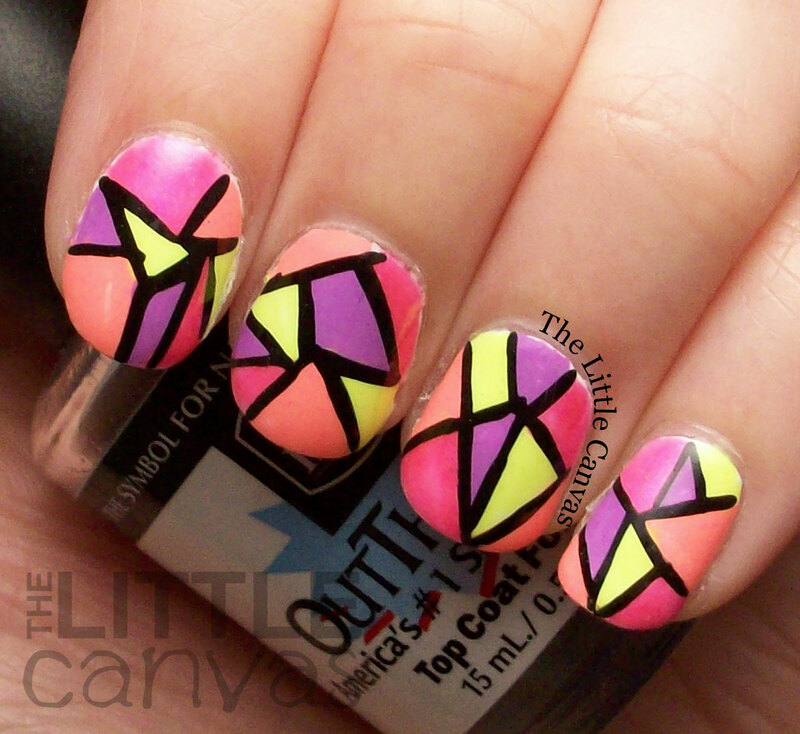 When the colors were all on the nail, she then went through and outlined each individual area. It was sooooooooo much easier this way and my lines were a million times neater! The color combination was pure genius also. I was debating on adding a neon blue, but am super happy I didn't add that into the mix. I think it would have taken away from the bright neon. And boy are these nails bright. I wish I could have truly captured the brightness, but as you ladies know, photographing a neon is near to impossible. What do you think? 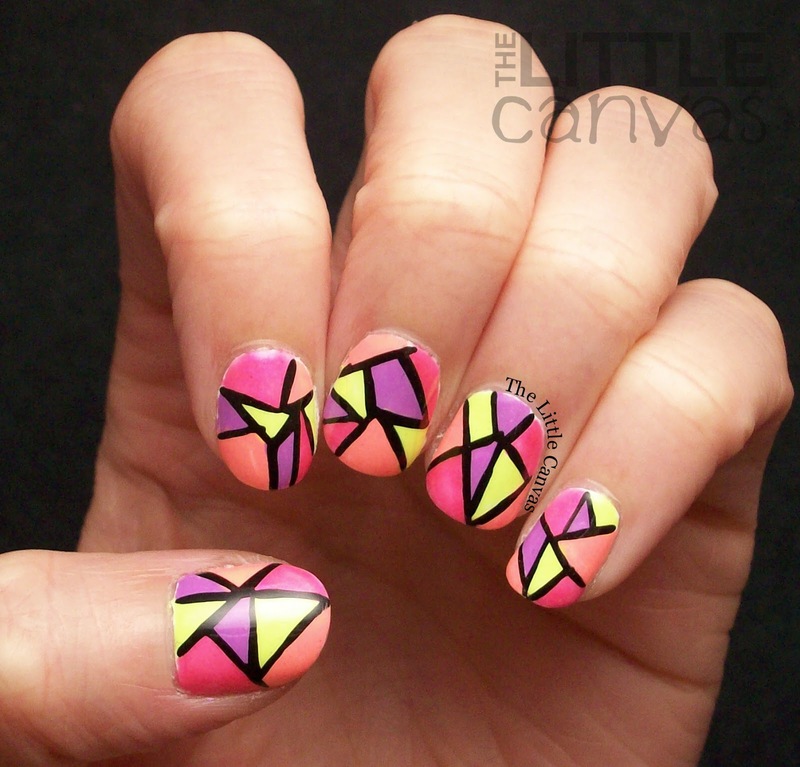 Loving the neon mosaic? Think it's perfect for summer? Don't forget to check out the other Twinsie's posts! I can't wait to see who else busted out their neons!